Cryotherapy, sometimes known as cold therapy, is a medical therapy that involves exposing the body to sub-zero temperatures (between minus 200 to minus 320 degrees Fahrenheit). The therapy boasts a multitude of benefits, including weight loss, improving sleep, treating skin conditions, improving athletic performance, alleviating depression and reducing pain. But does the therapy actually improve your health as has been claimed? Or is it just a cool craze that will eventually be refuted by research and potentially serious risks? Or is the answer somewhere in between? Here are five mind-blowing facts about cryo spa therapy that may answer these questions. Since the treatment only lasts three to four minutes, the cold affects your surface temperature but not your body’s internal temperature. Therefore, there is no risk of frostbite or abnormally low body temperature. A long-standing and common form of cryotherapy is the application of ice or cold packs to injured areas. This causes blood vessels to constrict reducing blood flow and alleviating pain, inflammation, and swelling. Cryosurgery, another type of localized cold therapy, uses freezing fluids to freeze and remove lesions such as moles, skin tags and prostate cancer. Exposing the entire body to subzero temperatures can, therefore, be used to relieve pain and inflammation from conditions such as injuries, arthritis, ankylosing spondylitis, and fibromyalgia. The ultra-low temperatures in cold therapy enhance the removal of dead cells on the surface of the skin to expose healthy, more radiant skin. It also shrinks the skin pores, reducing the number of toxins and bacteria that permeate through the skin. Ultra-cold temperatures can be used to treat a wide variety of inflammatory skin diseases. The therapy is commonly used to reduce symptoms of eczema, seborrhoeic keratoses, viral warts, and actinic keratoses. It can also be used to treat small skin cancers such as Bowen’s disease and basal cell carcinomas. Research findings show that cryo spa therapy may treat illnesses linked to brain inflammation. A study conducted in 2008 concluded that cryotherapy can reduce symptoms of depression and anxiety by up to 50%. Ice treatment has long been a mainstay for injury and pain relief. Some people including celebrities and high-profile athletes have been vocal about the benefits of cryo spa therapy. Anecdotal evidence suggests that cryotherapy can help treat a slew of health conditions. 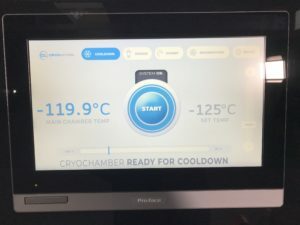 If you’re looking to hire cryotherapy chambers for your hotel, spa, athletes or elite sports, CryoAction is a great company to consider. It offers a range of cryotherapy chambers available for medium to long term rental.